Hello Friends!Am Atchaya(aka Akshma) back again with the april new release decoupage papers.This month we have a vintage shabby birdie paper and a all time suitable textures paper . 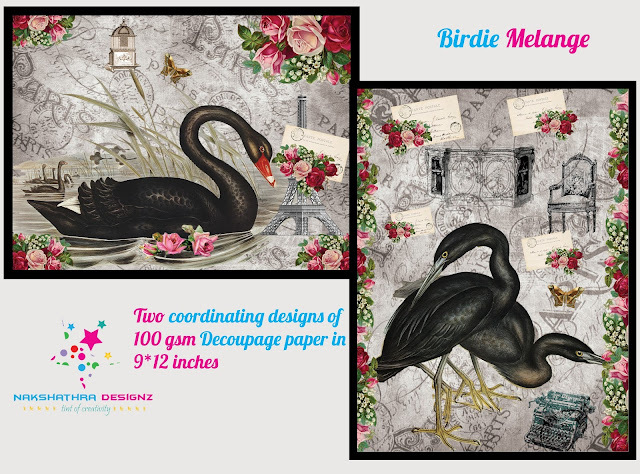 So going to our first release!Its Birdie Melange Decoupage paper with a vintage and shabby feel with beautiful black birds,floral elements,the Eiffel tower and so many vintage elements with a different look isn't it!Soon grab this pack and create beautiful projects with this lovely papers. 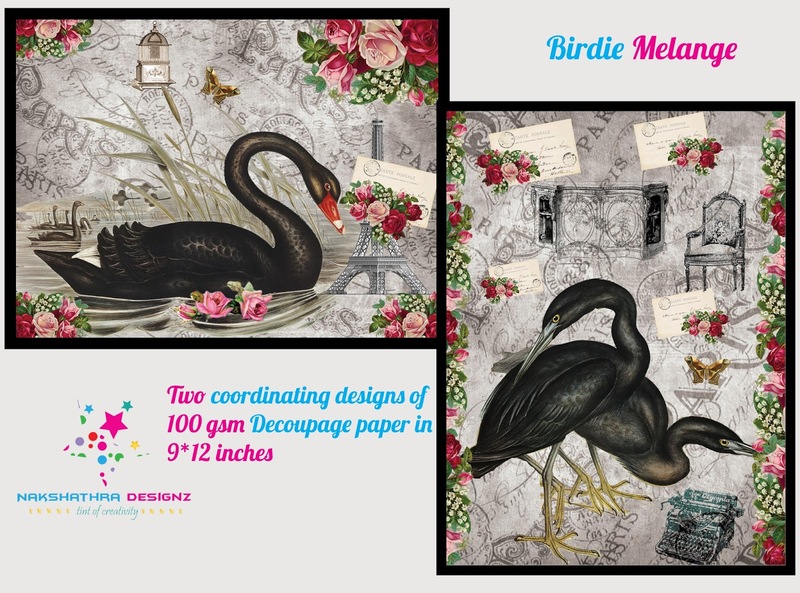 It comes in 9*12 inches size with two coordinating 100 gsm decoupage papers. 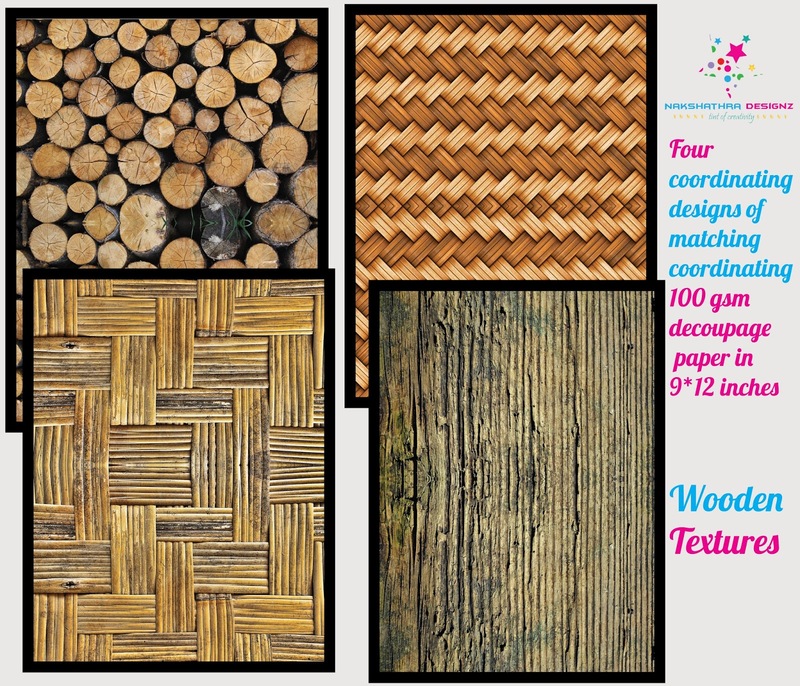 Coming to the second release its wooden textures decoupage paper!The wooden textures we all love it right!It can be used in grungy mixed media projects ,to give a wooden realistic feel etc. 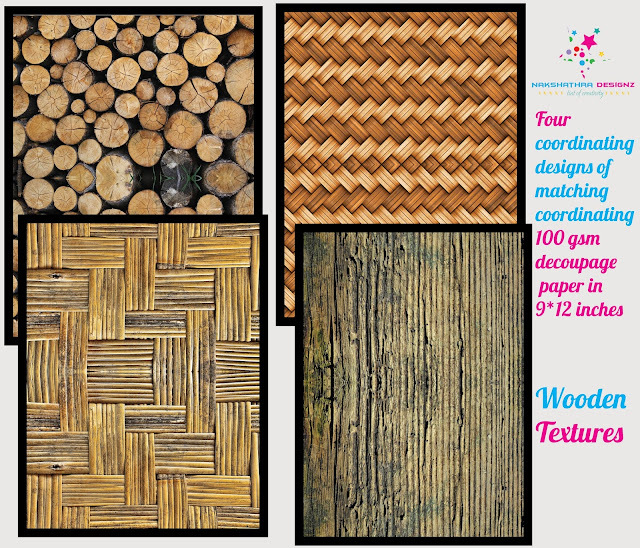 It consists of four coordinating decoupage papers in 9*12 inches size. We have an important and an exciting announcement that we have chosen few guest DT members from those who have applied for DT post.This is a surprise post for them as they were not intimated earlier about this and here's the list.We have chosen around eight crafters to be our Guest DT for each month from april to september! Please mail us to receive your Guest DT kits and to know about the further process.